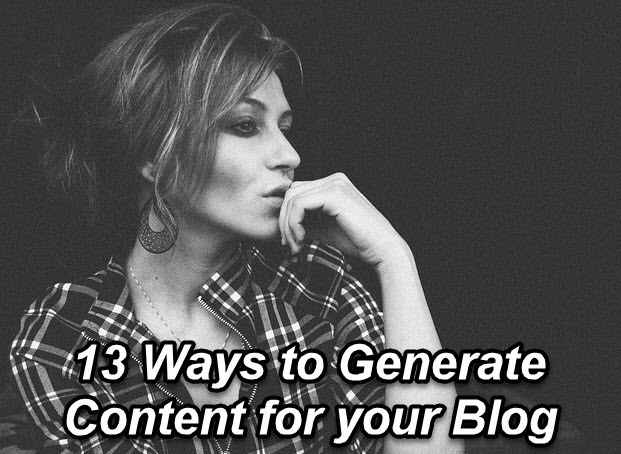 You have finally started a blog for your business or agency because everybody is doing it.. duh. Great content converts into great leads, new clients, sales etc. that much has been proven. With so many different types of blog posts existing in the blogosphere today: Product Updates, Industry News, Reviews, Case Studies, Current Events, How-To’s, Cheatsheets, Listicles, Link Lists, Infographics, Video posts, Entertainment posts, and the much loved/hated controversial posts. Which one do you choose??? I’m here to guide you through the different types of blog posts you might run across, and more importantly, help you decide which blog post type is right for your business. A simple post detailing the updates that you made to your product or service, and how customers can benefit from those updates. I would recommend including images highlighting specific product updates. A post detailing the latest news in your industry, and how it affects your business. News can come from your company, or you can weigh in on competitors and influencers in the field. Review posts usually come in two forms. One is a single product review, e.g. if you are a social media analytics brand you might want to review the pros and cons of using Google Analytics to track blog performance. The other type of review post is a product comparison, comparing the pros and cons of several products side by side. These types of posts are typically done in a list format. Note – Review posts typically attract attention from the product’s owner, or other brands looking to reward you for reviewing their product. Perspective clients love to peek under the curtain to find out what makes your brand tick. Hearing success stories from past clients is a sure way to get new business. Case studies are easy to write, and best of all promote your brand. Look through your existing customer list to find your brand advocates. I.e. Customers who use your product daily and are ready to compliment your brand. Contact those advocates and ask them how your product helped improve their business, then share this feedback in a blog post. A single case study can open doors to tons of new business. What’s happening in the world that impacts your industry or business? E.g. If you are an entertainment company you might want to write about the growth and decline of Movie Pass, or if you are non-profit focusing on human rights maybe pen a petition to Trump. Tackling current events gives you an edge from the get-go because people are already searching for these hot topics, thus increasing your chances of your content going viral. A how-to-post provides readers with step-by-step instructions on how to accomplish a task that your business centers around. An example of this kind of post would be an SEO firm instructing their readers on how to rank higher in Google search by optimizing their site content. A how-to-post is one of the most converting posts for businesses because it establishes a company’s authenticity while providing valuable guidance to the readers. A cheat-sheet or checklist post is similar to a how-to-post but provides a quick summary or image gallery of the task, rather than detailed step-by-step instructions. Cheat-sheet posts are comprised of lists, images, and or countdowns. E.g. Top 5 Ways to Rank Higher in Google. These posts can go viral quickly because the information contained can be easily digested and shared with other users. A listicle is simply a list of things your company endorses or support. E.g. “A list of ‘Books every Entrepreneur should Read”, or if your business focuses on video production a list of “Video Shorts with a Big Budget”. Listicle posts are easy to create and are among the most shared type of blog posts on the internet. If you are suffering from writer’s block, these posts can come as a huge relief. In these type of posts, you post external links related to your business. Doing a quick summary of the link. E.g. If you are a social media agency, you would post a list of links to blog posts and sites that talk about managing social media campaigns. An infographic is a blog post containing graphs or charts to illustrate data or figures. E.g. if you are a social media marketing agency you might want to include a graph illustrating the growth of social media through the years, and the importance of having a strong social presence. You can either share graphics from other sources (making sure to credit the source) and comment on them, or for extra points create your own beautiful graphics that others companies can link to in their research. You can use tools like Canva, Piktochart, for creating detailed charts online. Embed a video in your blog post, with a short summary of what viewers are about to see. Video posts are a quick and easy way of showcasing your products, media appearances, etc.. Videos are also a perfect addition to how-to posts. These posts are very lighthearted and are meant to entertain the reader. Typically these posts are heavy on images and media, may contain lists and feature links to external sites. How often these posts are written depends on the nature of your brand. If your brand’s voice is liberal in tone feel free to post frequently, but if it has a more conservative professional voice, you might want to steer clear of these types of posts for they can hurt your brand reputation. Entertaining content has a high chance of going viral because they often compliment the latest trends and social norms, and everybody wants to share a laugh with their friends. One of the most commented, shared, and at the same time ‘controversial’ post types. Disagree with Trump’s policies, write about them, think the gig economy is a scam comment on it. Controversial posts are almost guaranteed to start a heated debate and angry commentary so be cautious when posting this type of content. To add insult to injury, these type of posts may lose current and potential customers for your business. To sum it up, these posts will net you plenty of traffic, but whether or not they are worth it in the long run, is up to you to decide. Now that you are on the road to creating great content, why not use our eClincher social media tool to post that content across all your social media channels, including Instagram. Scale Up, Save Time, and manage all your Social Media campaigns in one dashboard.